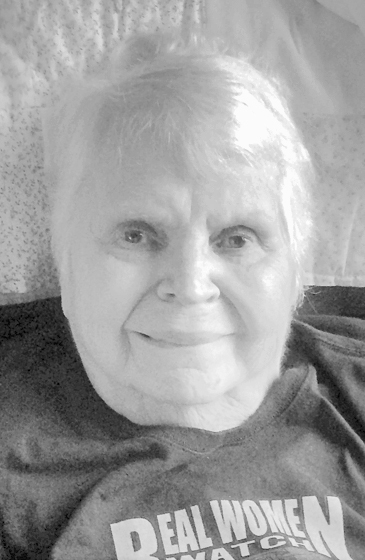 GREENVILLE, MI – Julianne M. LaMere, age 84 of Greenville, formerly of Champion, passed away on Monday, January 14, 2019 at Spectrum Health United Memorial Hospital. She was born the daughter of Oke & Kaarina (Heilala) Saari and they precede her in death. Also preceding Julianne in death is her husband, Wallace LaMere; two sons, Ronald & Phillip LaMere; daughter-in-law, Cindy LaMere and son-in-law, Paul Hamel. Julianne is survived by her two daughters, Cheryl Hamel of Champion and Candy LaMere of Greenville; four sons, Bob (Lynn) LaMere of Hutto, Texas; William (Nancy) LaMere of Greenville; Joe (Barb) LaMere of Ariel, Washington and Jerry (M.J.) LaMere of South Lyon; eleven grandchildren; sixteen great grandchildren and many cousins, nieces and nephews. Julianne was a very artistic woman who enjoyed painting and drawing. She was equally talented in the kitchen and loved cooking and baking, especially homemade bread. When her health allowed, she was a very active and involved member of the Bethany Lutheran Church in Republic. Visitation and funeral services for Julianne are being held on Saturday, January 19, 2019 at Bethany Lutheran Church in Republic with visitation being from 12 p.m. to 2 p.m. and funeral services will begin at 2 p.m. with Reverend Doug Norquist officiating. Final interment will be at Champion Cemetery. For those wanting to make a memorial donation in Julianne’s memory the family suggests you direct them to the Wallace & Julianne LaMere Family Educational Trust. To order flowers, leave an online condolence, or share a favorite memory of Julianne, please go to www.SimpsonFamilyFuneralHomes.com.